Considered the ‘must see’ theme park in Florida. Many of the rides are geared towards children. 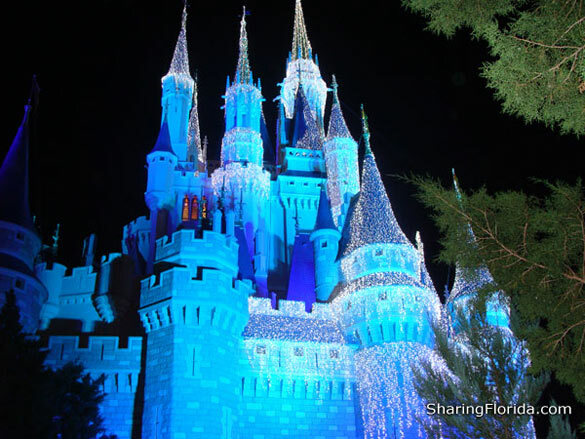 The photo here is of the Cinderella castle at night. The colors of the castle change with lighting that cycles through blue and pink every few minutes. You can walk through the castle, but just the bottom floor gate.